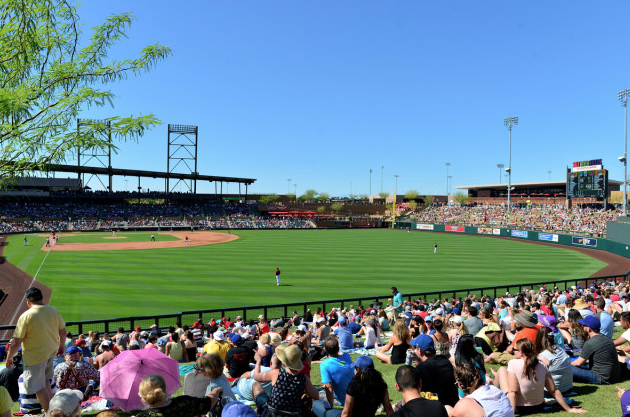 The Cactus League Spring Training games have become extremely popular in Scottsdale. 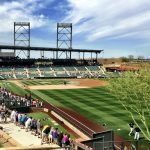 The beautiful new stadium at Salt River Fields in Scottsdale is home to the Arizona Diamondbacks and Colorado Rockies. 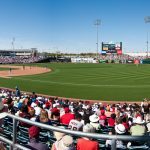 The tickets for the 2018 Spring Training games are already on sale. The best tickets are snapped up quickly. If you plan to enjoy one of the leisurely games in the sun this spring, I suggest you buy your tickets soon. 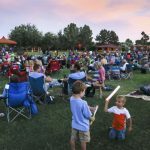 Spring Training is one of my favorite events in Scottsdale. It is always fun to go with friends to enjoy a game in the sun. Nothing better than enjoying an adult beverage in the sunshine with your favorite people. It is a much more relaxed game than during the regular season. Everyone is there to have fun and enjoy themselves. You can get up close to the players in a much smaller setting. I highly recommend it if you have never been. 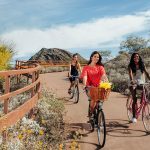 Feel free to contact me to see any homes for sale in Scottsdale. I specialize in selling homes in the finer communities in Scottsdale, AZ. You can reach me at Carmen@TopScottsdaleHomes.com.